Work in progress - The first prototype of CASE is ready! 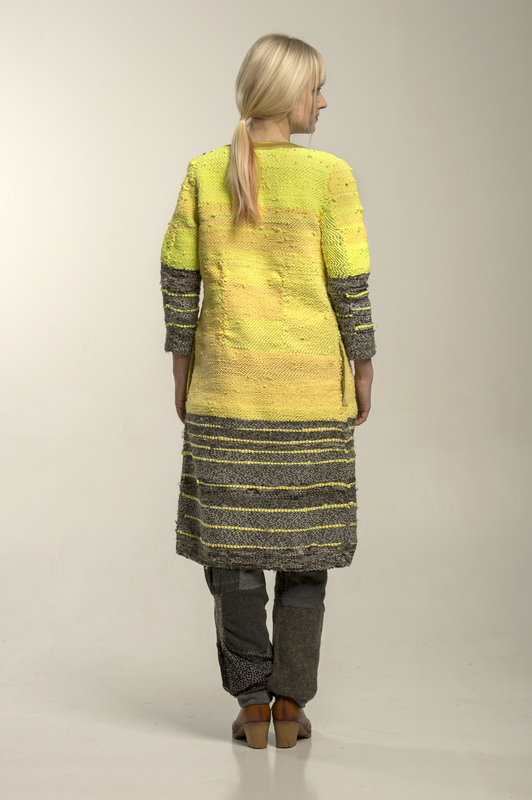 The CASE is developed together with Trash to Trend Incubator and designer Liisa Murdvee. 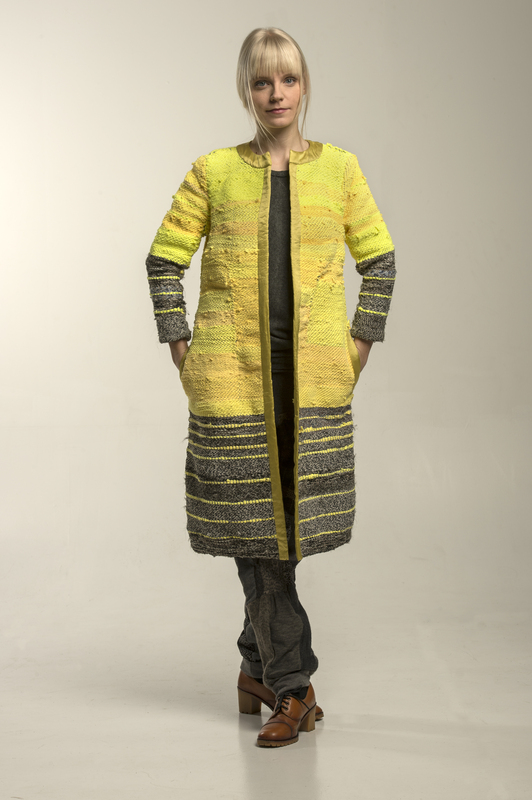 Designer Liisa Murdvee is creating coats and jackets under the name of CASE. CASES are made of Estonian Song and Dance Celebration defective T-shirts. T-shirts are lacerated into narrow straps and woven on looms afterwards. We will be very happy to get your feedback! Beautiful. Fun. Gorgeous colorway. Hope to see more. Absolutely gorgeous! are you still making those kind of things? These are wonderful in so many ways, thank you for sharing!